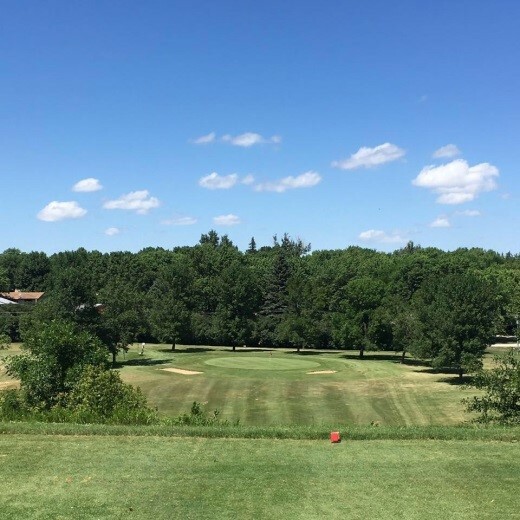 The Clear Lake Golf Club, known as one of the finest 9-hole courses in South Dakota, is located on the southwest corner of the City of Clear Lake. A semi-private club, with very affordable annual memberships and reasonable green fees, are offered for public golf. Featuring severe elevation changes, challenging putting greens, and maturing trees, the course appeals to golfers of all abilities. Men’s, women’s and mixed leagues are held weekly during the summer. The course annually holds several tournaments: scrambles, par 3, and stroke play. Cart and club rental are available. A recent emphasis of the course is junior golf, with a youth league and learning opportunities available through the Clear Lake Summer Rec. program. Youth clubs are available for use. The clubhouse, open spring-fall, is modern and roomy, seating 50-60 people. The dining area is available to rent for events such as graduations, groom’s dinners, and class reunions. Food can be provided for these events or catering in is allowed. The kitchen offers a weekday lunch menu, with a smaller menu available evenings and weekends. The dining room, including full service bar, is open to the public. Also located in the clubhouse is the pro shop. Golf accessories and apparel are available in a limited basis, as well as a full line of snacks and beverages. For more information please call 605.874.2641.